Optical Crystal Flame Award. Available in three sizes. This item comes packed in an elegant gift black gift box. 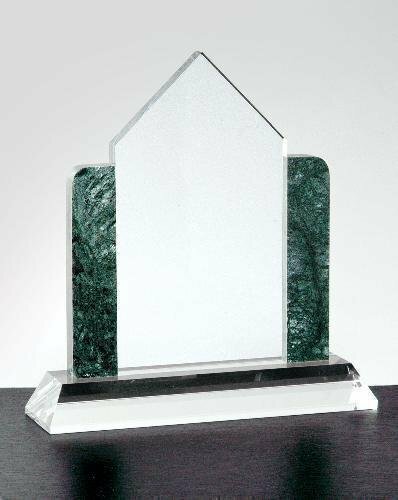 The beautiful Fremont Peak is an exclusive award to Crystal D. It is made from optical crystal and at its peak stands more than 12" tall. 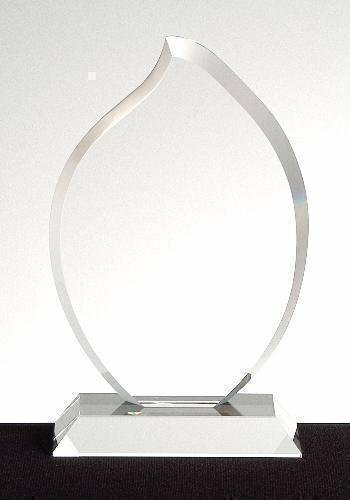 Optically perfect clear crystal combined with elegant polished bevels make the Genesis Award the ultimate award to honor those with exceptional achievements. 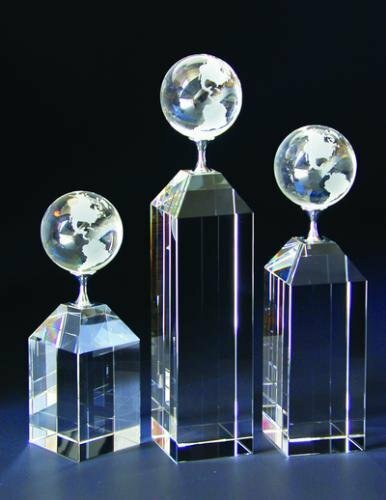 Our globe on pillar award is made from a combination of clear optic crystal and chrome plated metal and comes in 3 sizes. 7" H x 2 3/8" sq. Imprint area is 2" x 3"
9" H x 2 3/8" sq. Imprint area is 2" x 5"
11" H x 2 3/8" sq. Imprint area is 2" x 7"